Smaller, torquier, more powerful, and more fuel efficient. So goes the march of progress, as demonstrated by the Renegade’s new turbo engine, which shrinks by 68cc but gains all-aluminum construction, direct injection, and loads of other recently learned engine-tuning tricks to add 17 hp and 16 lb-ft of torque for 177 and 200 total. 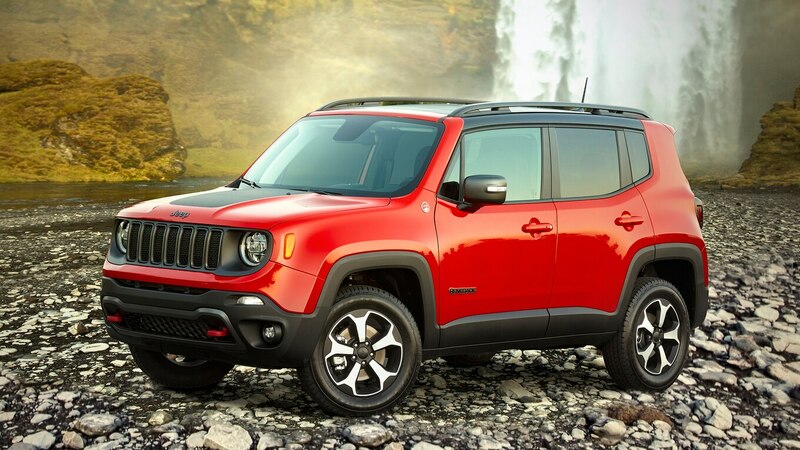 This spanking-new 1.3-liter GSE (Global Small Engine) dubbed Firefly becomes the Renegade’s upmarket offering. It will come standard on Limited and Trailhawk models and will be optional on the base trims, while the naturally aspirated 180-hp, 175-lb-ft Tigershark 2.4-liter becomes the base engine. Also broomed: The six-speed manual that formerly backed the 1.4-liter has been replaced by a newly refined nine-speed automatic. Fuel economy is said to have improved, with a target of boosting the highway figure from 27 to 32 mpg unofficially (final testing was incomplete as of press time). Mind you, Jeep’s motivation for making this change has vastly less to do with delighting Renegade owners and everything to do with offsetting the fuel economy of the immensely more profitable big-engine Grand Cherokees. Along with the powertrain update, the front end gets a new hood that wraps over the grille and headlamps that give the face a more horizontal look. A new fascia completes the front view of this facelift. LED head- and taillamps are now optional. Inside, the screen updates made for 2018 carry over—5.0-inch base, 7.0-inch up-level, and 8.4-inch optional navigation screens are offered—new wheel designs are available, and Latitude and Limited models can now be had with 19-inch tires. 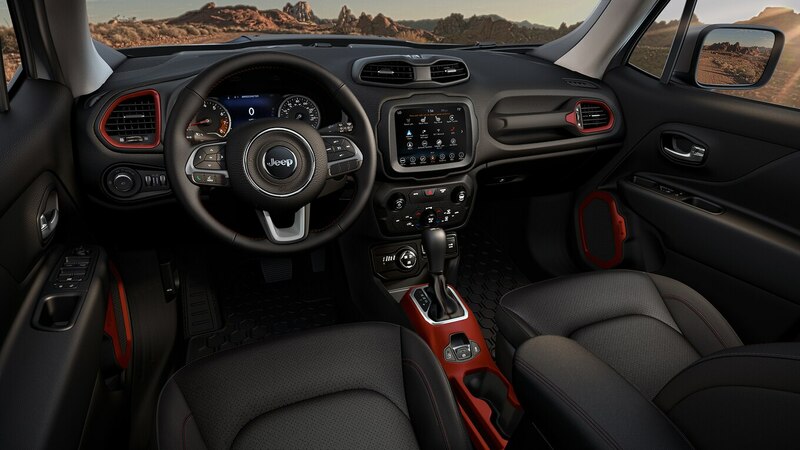 Inside there are new instrument-cluster graphics and significant improvements to the Advanced Technology package, which adds adaptive cruise control, ParkSense, Parallel and Perpendicular Park Assist Plus, and front parking sensors. We sampled a 1.3-liter turbo Renegade at Jeep’s annual What’s New event held at the extensive Chelsea Proving Ground. On-road, frankly, the 1.3T underwhelms. That should be no big surprise. The weight-to-power ratio of every factory Renegade ever built falls within a pound of 19 lb/hp. Therefore, every one we’ve tested has accelerated to 60 mph in 9.0 seconds plus or minus a tenth, and—bold prediction—this one will, too. Perhaps of more interest is that nine-speed recalibration, which now includes rev matching. It’s not the kind you either love or hate in a Nissan 350Z manual, and you won’t notice audible throttle blipping between gears like you do in an M5 or AMG product. Rather, it quietly synchronizes the gear speeds inside the transmission so that shifts happen much more quickly and vastly less noticeably—a welcome thing when there are so many gears being changed.